Electrocution is a serious situation that can cause major burns, permanent scarring, damage to the heart and other organs, and other catastrophic injuries and fatalities. 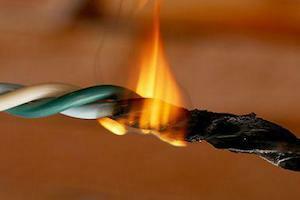 Even relatively minor electrical exposure can cause significant harm. Have You Been Electrocuted and Seriously Injured? At Corsiglia McMahon & Allard, L.L.P. in San Jose, our experienced personal injury trial lawyers help clients throughout Northern California pursue compensation for electrical injuries. We work hard to hold the appropriate parties accountable. Contact us today to set up a free attorney consultation. You will pay nothing unless we win your case. Call us at (408) 289-1417. Depending on the exact facts of your electrical accident, there are a variety of different parties who may be held accountable for your injuries under California law. Our attorneys are experienced at pursuing claims against product manufacturers and retailers, premises owners, contractors and subcontractors, and other responsible parties. Whether your injuries were caused by a defectively designed product, a building not being up to code, or any other circumstance resulting from someone else’s negligence, our attorneys are prepared to pursue your personal injury claim all the way through trial if necessary. The electrical injury lawyers at our firm are respected throughout Northern California and nationwide for their dedication to providing quality representation to the victims of electrical injuries and all other types of accidents. Don’t hesitate to contact a lawyer to discuss your case. Call us at (408) 289-1417.